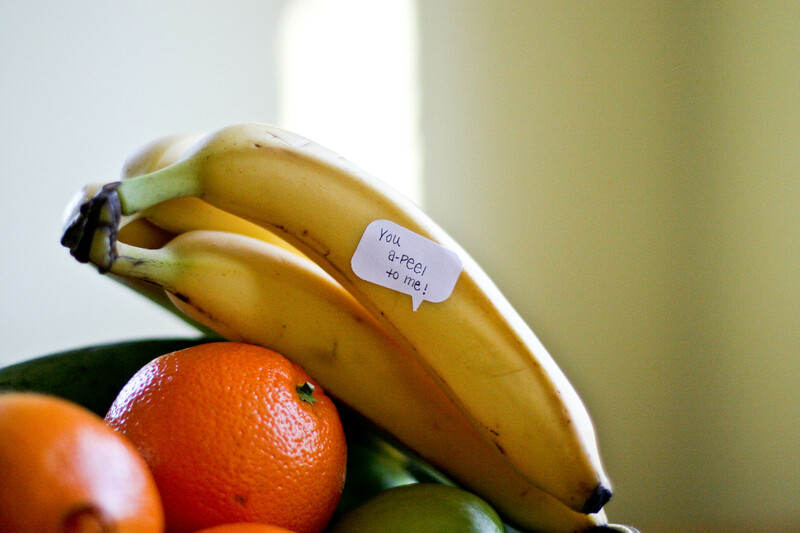 you a- PEEL to me! I love making inanimate objects talk. Like pretending the wet towel on the floor is begging you to be picked up, my kids are almost at the point of rolling their eyes but they still laugh. Creative kindness in your home is always the best place to start weaving your kindness life. I was way excited to discover this conversation bubble punch at the discount store today. All I could think about the whole ride home was what funny things a banana could say. How is it that the simple ideas always end up to be my favorite? …my labels and super punch may be following me into the city tomorrow. …this is just so, so awesome!! I think I must steal this idea…. Those labels are fun, love it. Big Lots in the crafty/paper/card section E! It was like $5! I love these. All of them. I think I need one of those punches! So, so cute! I might have to find a punch of my own, this is a great idea! Makes me want to punch a bunch, leave them in a container in the studio, and see what G comes up with.